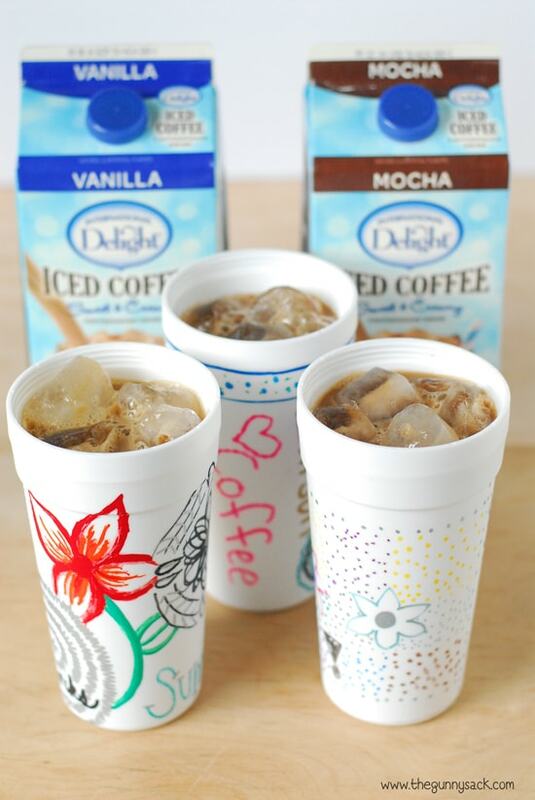 DIY iced coffee carafes are a fun summer activity that is perfect for summer camp and for teenagers! 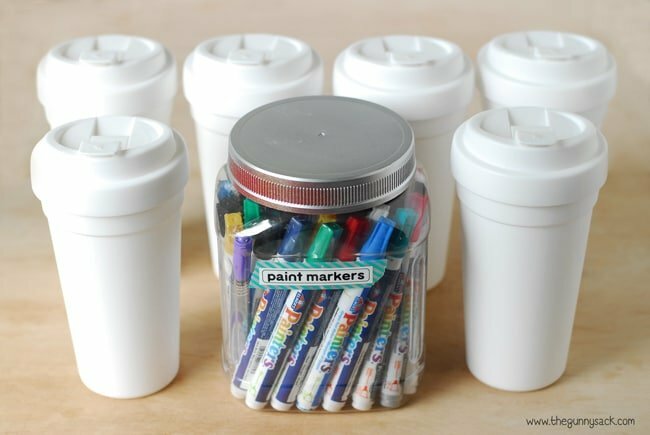 Use paint markers to decorate thermal carafes. Sponsored by International Delight. A couple of weeks ago, one of my best friends and her kids came to Minnesota for a visit. She usually tries to make it here at least once each summer and we do all kinds of fun things. As her kids get older, one of the things they look forward to the most is going to the Mall of America. We also went to a man-made swimming beach and to a park with a splash pad. 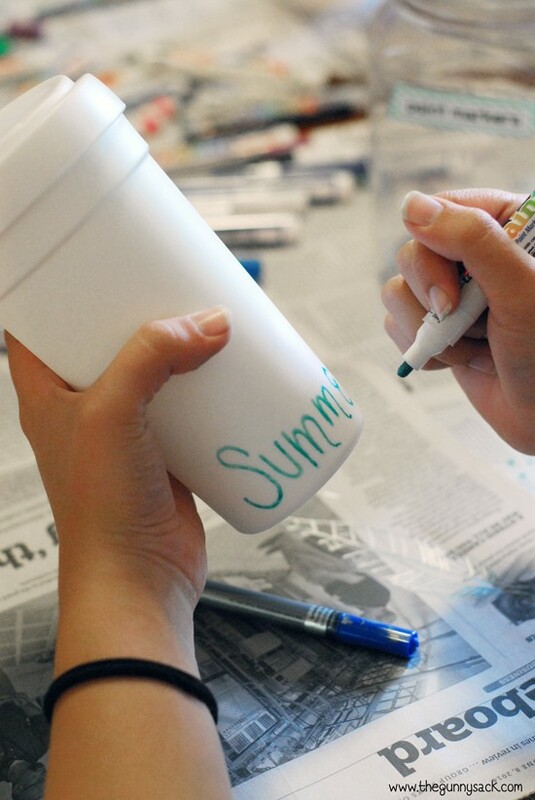 Everyone came to our house one evening after the day’s activities and we decorated iced coffee carafes! 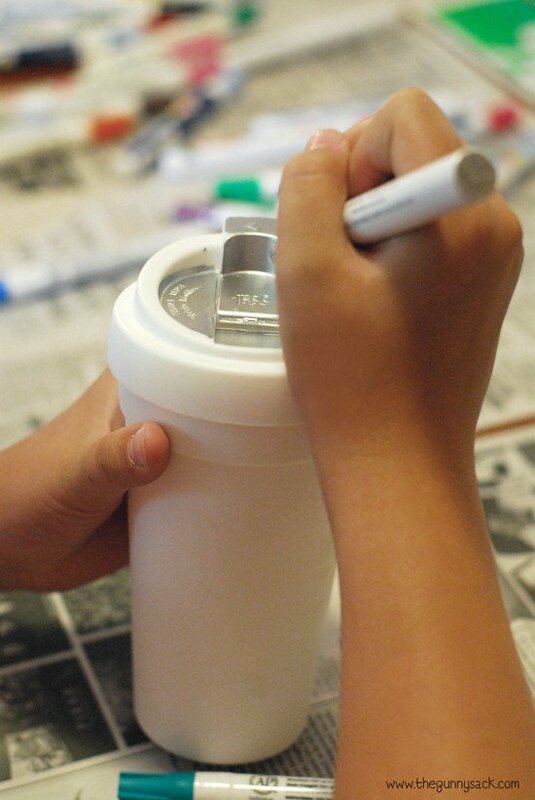 We started with some plain, white, insulated coffee carafes and permanent paint markers and pens. The project was originally going to be for the older kids and adults, but when the younger kids saw what we were doing they REALLY wanted to join in the fun. I explained to them that the “cups” were for people who drink coffee and that the cups could keep the coffee hot or cold. They listened quietly and then stopped to ponder that for a while. Then, one of the kids said, “I drink hot chocolate so can I make one?” and another one said, “And I drink chai lattes so can I make one?” Who could resist them? 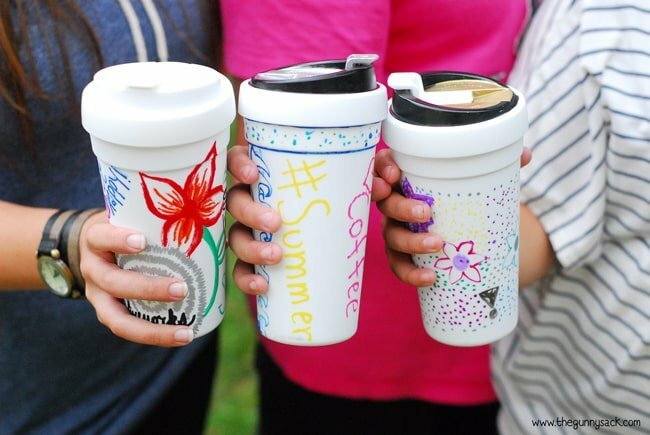 So, the younger kids decorated iced coffee carafes too, and they did an awesome job! 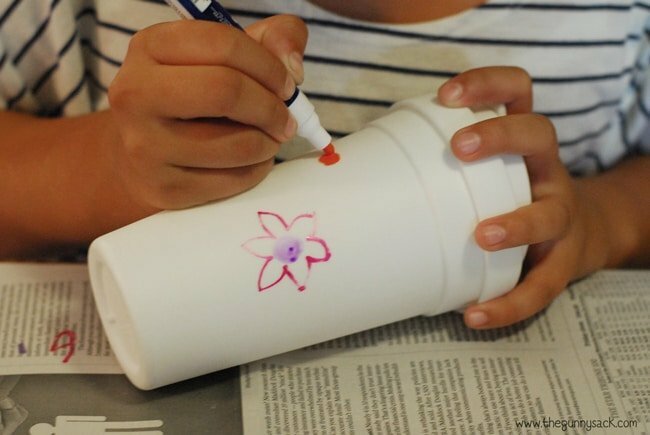 I didn’t have enough of the white mugs, so one of the kids got to decorate an International Delight Iced Coffee Tumbler. Good thing for all of the newspaper covering the table. 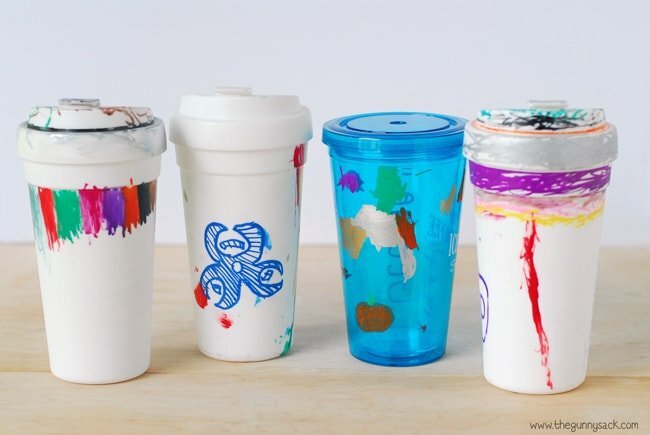 Once all of the cups were decorated and the paint was dry, I took out the International Delight Iced Coffee. I love the convenience of this coffee! It is ready to drink and it tastes fantastic. It is also so much more affordable than buying iced coffee by the cup from a coffee shop. 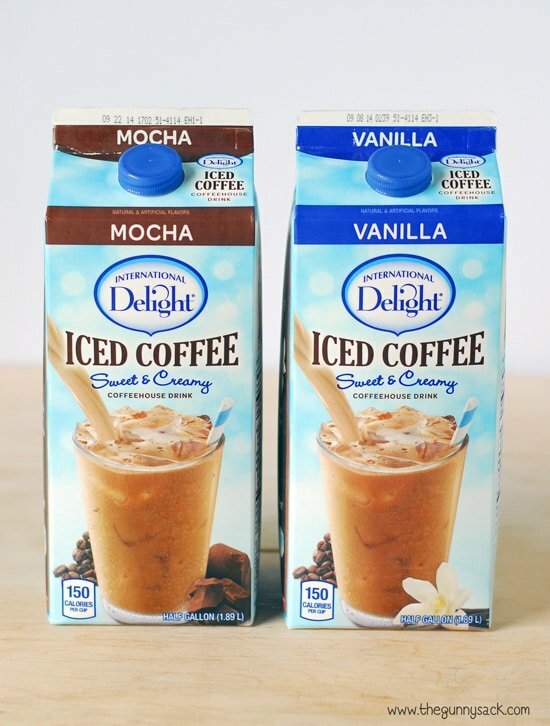 I’ve been drinking International Delight Iced Coffee since December 2011…before it was even available in stores, but my friends hadn’t tried it yet so I was excited to share! We tried the mocha and vanilla flavors. While I filled our iced coffee carafes with International Delight Iced Coffee, one of my friends filled small tubs with hot water and bath salt to soak our feet. We really enjoyed drinking the iced coffee while doing mini pedicures for our tired feet. 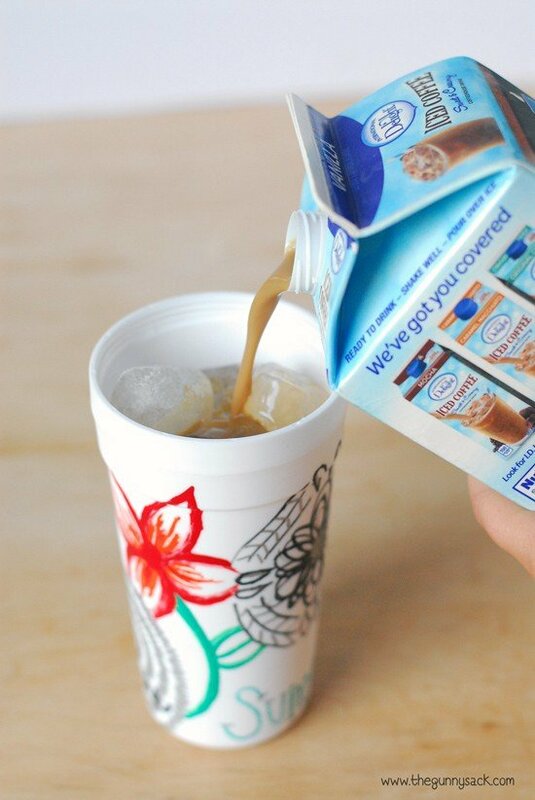 It was our favorite iced coffee moment of the summer! 2) I would recommend handwashing the carafes to preserve the decorations/art work.